Pretty amazing products right? I’ve absolutely loved using my Bee & You Propolis and Raw Jelly! Both worked a miracle for me in helping build my immune system, which helped me get over my sickness much quicker! Both products are super easy to take and they work! I’ve been super impressed with the results! And since I’ve been feeling better, I’ve also loved eating a teaspoon of the Raw Jelly 20 mins before my workout to help boost energy too! I’ve had such a great experience trying both the Propolis Drops and Royal Jelly from Bee & You, I can’t wait to try more of their awesome bee products and help my body perform and be the best it possibly can! Offer good until the end of September! 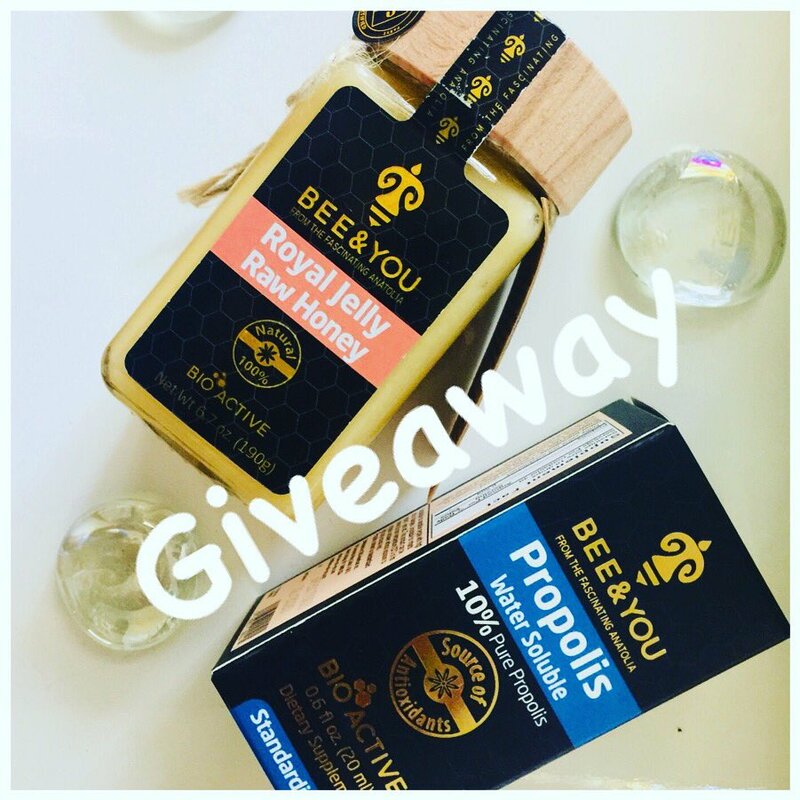 Right now, you have the chance to win some Bee & You product to help your body function at it’s best! Contest open to U.S. Only! Winner Chosen Sept. 21, 2018! If I do not win from Be to you I Hope I can come back on a pay day someday and order some of this !